Modeling after the Apple MacBook Air is a design feat few have taken on, with the Samsung Series 9 being one of the most recent examples. Now throw Asus into the mix. At Computex 2011, the Asus UX21 takes on more MacBook Air characteristics than any other ultraportable I've seen thus far, and it packs quite a performance punch for a little guy. The term "unibody" is a design term coined by Apple and one that Asus had no trouble using when it lifted the wraps off of the UX21. Indeed, its unibody frame is entirely engorged in aluminum metal, a much more polished version than the one found on the MacBook Air. The metal is hardened so that any worries about its durability should be put to the rest. Like the Air 11-inch, the UX21 has a sloping design, which starts at 7mm in the back and tapers to 3mm once you reach the front bezel. It tips the scales at 2.2 pounds, which is exactly what the Air 11-inch weighs. The 11.6-inch widescreen and 1,366x768 resolution are also consistent with the Air. It uses a similar Chiclet-style keyboard and glass touchpad, though I found the two mouse buttons a bit too resistant for my tastes. There are some subtle differences with regards to their feature sets. One of the UX21's two USB ports houses USB 3.0 technology (the Air 11-inch has two USB 2.0 ports). Instead of mini-DisplayPort, the UX21 has a mini-HDMI port. They both don't have built-in SD card readers, which would have been impressive had Asus pulled one off. Storage comes in SSD varieties: 64GB or 128GB. Asus also claims that with these drives, the UX21 can resume from sleep in two seconds. Asus Eee PC 1015B and 1215B "New laptop Review"
The Toshiba Satellite M640-BT3N25X Laptop is also equipped with an Intel HD graphics card, a 500GB hard drive etc. It has 6-cell 48Wh Lithium-Ion Battery and includes an HDMI port. 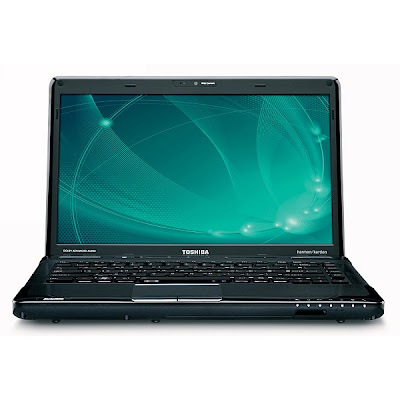 The Toshiba Satellite M640-BT3N25X Laptop is available at the price tag of $859. A new 13.3-inch ultraportable laptop from Sony has recently entered the market. 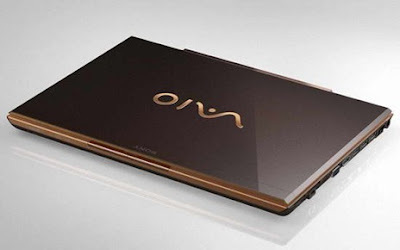 Called the VAIO S Series, the system sports a 13.3-inch 1366 x 768 or 1600 x 900 LED-backlight display, an Intel Core i5-2410M/2520M or Core i7-2620M processor, an AMD Radeon HD 6470M 512MB or AMD Radeon HD6630M 1GB graphics card, up to 8GB DDR3 RAM, up to 640GB HDD or 512GB/1TB SSD, an HD webcam a DVD or Blu-ray drive, an SD card slot, WiFi, Bluetooth, a USB 3.0 port, an HDMI port and runs on Windows 7 OS. Dell XPS 15 is excellent high end gaming laptop with 4 GB DDR3 SDRAM, 500 GB hard drive, nVidia GeForce GT 420M 1GB graphics with Optimus image engine, quad core processor, which can bring great gaming experience.The good: The laptop brings fantastic gaming and movie experience. It's powered by quad core processor. The hard drive is as big as 500 GB.The bad: The battery life is not as good as its parameters and there is no VGA port. The Dell XPS 15 looks nothing special in design. At first sight, it looks like a budget laptop. Actually, it's a gaming laptop just like HP Gaming Laptop. 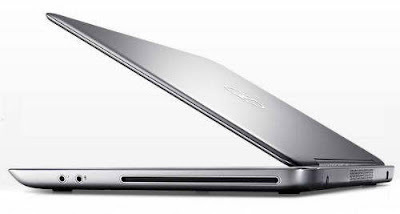 The Dell XPS 15 measures 15 in x 10.4 in x 1.3 in and weights 6.3 pounds. The size of the laptop is good for gaming whenever home or on the way to go. The 15.6 inch display is good neither too big nor too small. The keyboard and touchpad looks shinning and works comfortable. The Dell XPS 15 performs splendid well. The quad core processor makes a fast running speed. The Dell XPS 15 can bring gamers great game and movie experience. The Stellar JBL speakers with subwoofer is highlight. However, the battery life is not that long as Best Business Laptop. 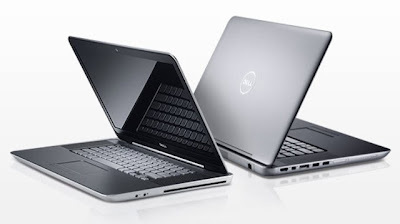 Above all, Dell XPS 15 is a best gaming laptop option which is not very expensive. 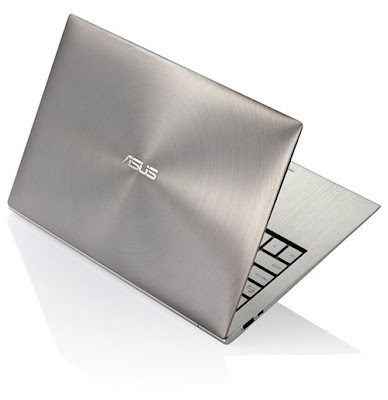 The ASUS G73JW-3DE 3D Gaming 17.3-inch" Notebook PC is an excellent 3D gaming laptop with 17.3 inch display, bluetooth and wifi, Quad Core processor, 2.0MP integrated camera, Windows 7 Home Premium 64-Bit operating system.The good: The speed is fast powered by quad core processor. It's 3D supported. The 17.3 inch display is generous and enjoyable when gaming or watching movies.The bad: It's heavy to carry along and the battery life is just in average level. 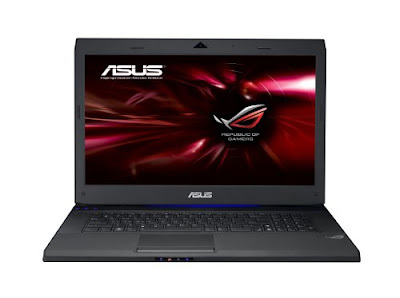 The ASUS G73JW-3DE 3D Gaming 17.3" Notebook PC is in classic black and looks great. It measures 16.6 in x 12.8 in x 0.8 in and weights 8 pounds. It's not convenient to carry since it's bulky. The display is great for gaming since it's 17.3 inch with 1920 x 1080 resolution which is definitely high definition. The keyboard and touchpad works comfortable just like professional HP Gaming Laptop. There is also a 2.0MP integrated camera. 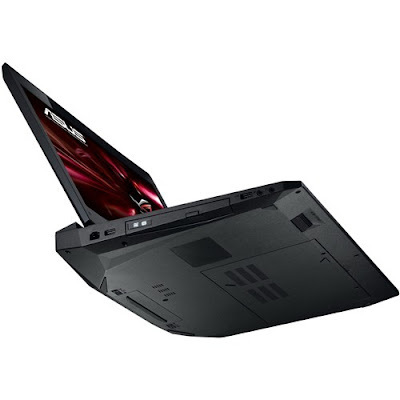 The ASUS G73JW-3DE 3D Gaming 17.3" Notebook PC performs great when gaming, no bad than Dell Alienware Gaming Laptop. The quad core powered laptop runs very fast. The image and video are high definition thank to the full HD display and image processor. The 3D gaming experience is great. However, the battery life is average. 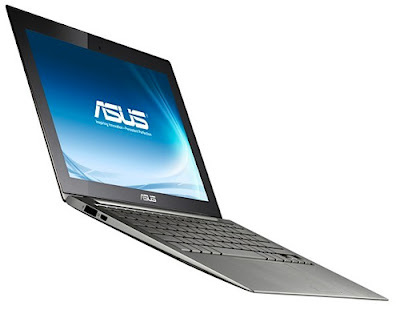 Above all, the The ASUS G73JW-3DE 3D Gaming 17.3" Notebook PC is a great gaming laptop. Apple, Everyone seems to be waiting for new Macbook Pro release date, eversince the rumors that are flying about Apple is about to release this refreshed machine. Other rumors are flying that MacBook Pros and new Mac Pro desktops is going to be released next week. 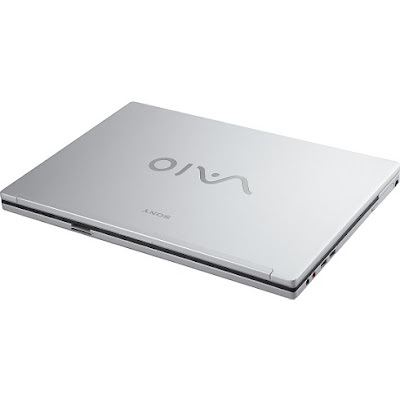 The new ultra-compact notebook Sony VAIO SB are already arriving in the shop. Prototypes performed in Las Vegas remains unchanged sophisticated design, compact and lightweight, called “Full Flat”. The chassis is fine with simple lines and square, made of magnesium alloy with a large wrist rest coated aluminum and a new hinge system for opening the display lid. The result is a robust and lightweight at the top of its class, with a touch of elegance that never hurts. 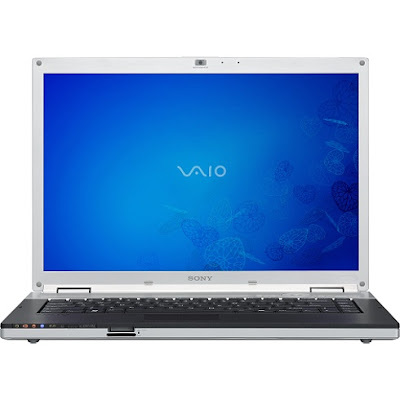 Sony VAIO SB weighs only 1.75 kg with standard battery and has a uniform thickness of 24mm, serving as a perfect companion for work and travel. The portability of laptops VAIO SB series is enhanced by the new system for attaching external auxiliary battery, which attaches to the bottom of the notebook, following the profile, without having to remove the internal battery or optical drive without having to power down the computer. The combination of the two batteries can reach an impressive range of 22 hours of uninterrupted use Stamina mode (dedicated graphics card disabled). 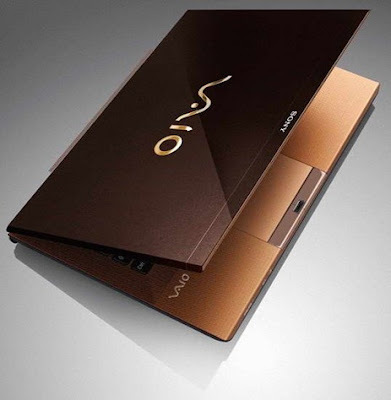 Even the VAIO SB have in fact hybrid graphics, distinctive of the S series of laptops each generation. Dynamic Hybrid Graphic technology which allows you to switch the accelerator is equipped with Intel GMA integrated graphics to discrete graphics card AMD Radeon HD 6000 series high performance (with VRAM of 512 MB or 1 GB), without having to restart the PC. This is a solution that improves energy efficiency without sacrificing the optimal balance between performance and battery life. VAIO Plus screen display has a diagonal of 13.3-inch “(33.7 cm), which represents a good compromise between compactness and portability and convenience. 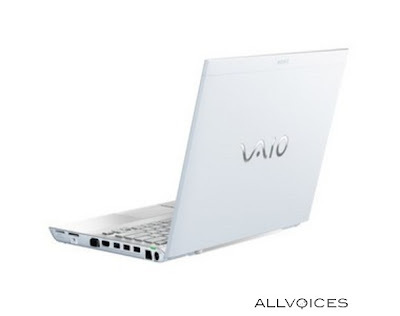 Brightness, contrast, clarity, and not betray the expectations of customers VAIO. Also appreciate the choice to give the panel an anti-reflection coating, the more effective under conditions of high ambient light that eliminates glare without sacrificing image clarity. A light sensor is responsible to dampen the brilliance of the VAIO display to conserve battery life when working in dim light. The keyboard is backlit to allow an island to write in the dark without uncertainties. 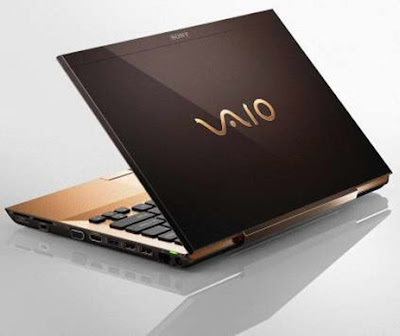 Sony has equipped the VAIO SB Fast Boot is a new function that increases by 50% faster boot and load the operating system Windows 7 compared to conventional notebooks, allowing instant restart the PC. If this were not enough, you can access the Internet in seconds, or access your mail or instant messaging without opening the main operating system, simply by pressing the “Web”. 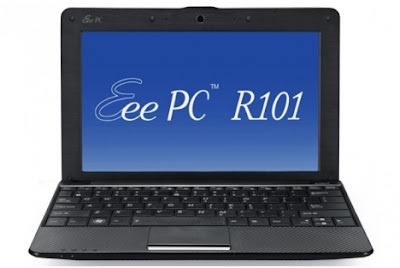 Asus Eee PC R101D is another netbook which comes with Intel Atom N455 1.66GHz. With price under $400, this cheap netbook is enough for casual gaming because it is also equipped with onboard graphic cards.Low end productivity applications are easily handled. 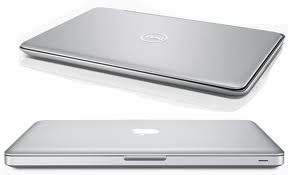 It features 1GB DDR3 RAM up to 2GB, 250GB HDD, 10.1-inch LED display with 1024×600 pixel resolution. 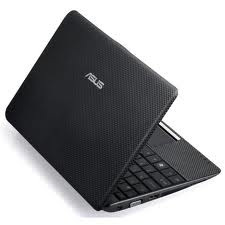 ASUS Eee PC is known of the portability, with 1.27kg in weight and 36.5mm x 178mm x 262mm in dimension. Another thing you can consider buying Asus Eee PC R101D netbook is the unique Super Hybrid Engine technology which allows you to select 3 power management profiles, from Super Performance, High Performance, and Power Saving. As a result, battery life can be extended up to 4 hours by using appropriate management. In case you are wondering about HP Pavilion DV6700 specs because you are going to buy one, be sure to check this one out. Don’t choose the wrong laptop or you will regret that you haven’t read the specs before you purchase one. HP Pavilion DV6700 comes with 15.4-inch transflective widescreen LCD display with NVIDIA GeForce Go 8500M GS 256MB, more than enough to play games and watching HD movies (via HDMI), but since this laptop comes with Windows Vista Home Premium, you might want to downgrade to XP or upgrade to Windows 7 to get the most out of current games because of many incompatibility in Vista. The DV6700 processor is Core 2 Duo T8300 with 2.4GHz clock speed with Intel 965PM motherboard chipset. 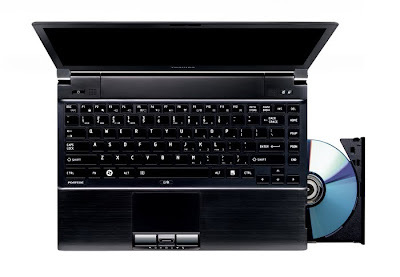 This laptop comes with decent 250GB HDD storage and Blu-ray ROM drive for watching HD movies. For extra storage you can use multimedia card reader, FireWire and 3xUSB 2.0 ports. It also comes with Bluetooth but no infrared. Networking is covered by equipping this notebook with an ethernet card 10/100, 56kbps modem and WiFi 802.11a/b/g/n to use the hotspot in public places. Other features worth to notice is the ability to capture photos and videos via a webcam, 6-cell lithium ion battery and a year warranty which comes with every purchase. Pavilion DV6700 weighs 2.78kg and have dimension of 357x254x43mm. HP Mini 110-3135dx "Mini Laptop Review"
Acer has launched its new Acer Aspire 5738 notebook PC which is powered by 2.0 GHz Intel Core 2 Duo Processor and it features 15.6 inch WXGA Widescreen display, Fast DDR3 RAM, integrated Wi-Fi Wireless LAN connectivity, Bluetooth, HDMI, Dolby 5.1 stereo speakers, webcam with microphone and a 8X DVD writer. 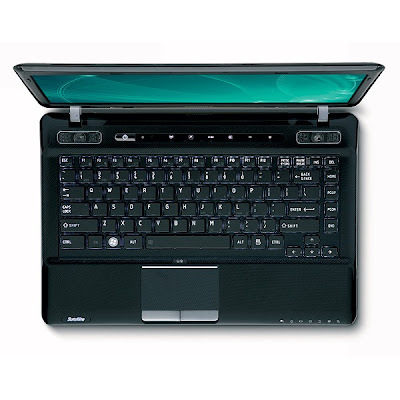 acer-aspire-5738-notebook-pcWeighing about 2.8 kg the Acer Aspire 5738 notebook PC is powered by 2.0 GHz Intel Core 2 Duo Processor T6400 featuring 2-MB L2 cache and 800 MHz FSB. 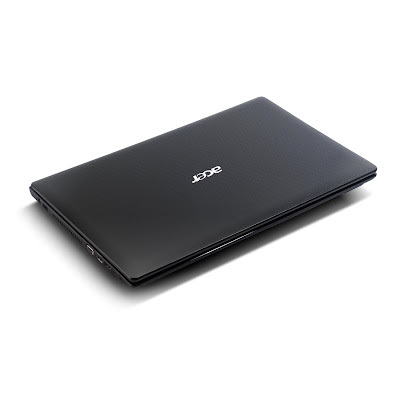 The Acer Aspire 5738 notebook features Intel GM45 Express chipset motherboard with integrated 3D graphics, 3-GB DDR 3 SDRAM – 800 MHz (max 4-GB in 2 slots), 320-GB Serial-ATA hard disk drive (5400rpm) and 8x DVD Super Multi Double Layer DVD Writer. Acer Aspire 5738 notebook is equipped with 15.6-inch (39.62 cm ) WXGA TFT LED backlit Wide HD display with Acer CrystalBrite Technology which offers 1366 x 768 pixels native resolution in 16:9 aspect ratio supporting simultaneous multi-window viewing via Acer GridVista 16 ms response time, powered by Intel Graphics Media Accelerator GMA 4500MHD Graphics Chipset with up to 1695-MB of shared video memory supporting Microsoft DirectX 9 Dual independent display support with 16.7 million colors. For connectivity to various devices, the new Acer Aspire 5738 notebook PC comes equipped with integrated Intel/PRO Wireless 2200BG Acer InviLink 02.11b/g LAN connection, and Bluetooth v2.0 + EDR connection. In addition the notebook also features 10/100/1000 gigabit Ethernet network card for wired networking, an integrated 56 kbps v.92 fax/modem, one Type II PC Card slot, AC/MC 97 soundcard and HDMI digital Out Port. 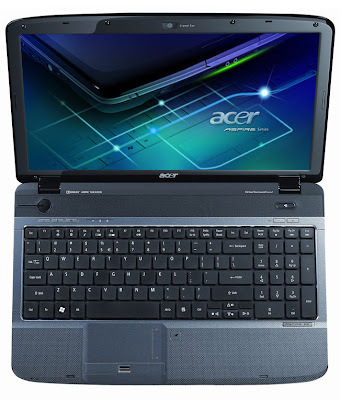 The Acer Aspire 5738 notebook PC also features 1.3 Megapixels Crystal Eye WebCam and built-in Microphone providing easy video conferencing via VoIP and video IM chats. With Windows Vista Home Premium preinstalled (to be completly installed by end user) the Acer Aspire 5738 notebook PC also sports internal 5-in-1 media card reader – supporting Secure Digital (SD), MultiMediaCard (MMC), Memory Stick (MS), Memory Stick PRO (MS PRO), xD-Picture Card (xD) cards. Weighing 2.8 kgs, Acer Aspire 5738 notebook PC is equipped 71W 4800 mAh Li-ion 6-cell battery pack which can provide upto 3.5-hour battery life. Acer QuicCharge technology enables 80% charge in 1 hour or 2-hour rapid charge system-off. 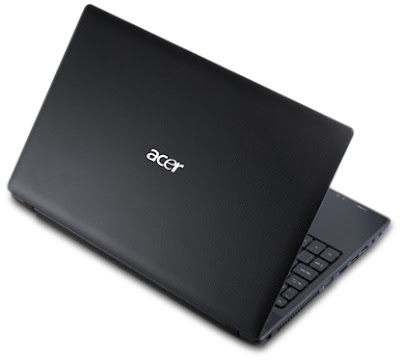 The new Acer Aspire 5738 notebook PC powered by Intel Core 2 Duo processor T6400 is available in India for Rs. 39,990 (excluding taxes) with one year limited local and International Travelers (Carry-in) Warranty. 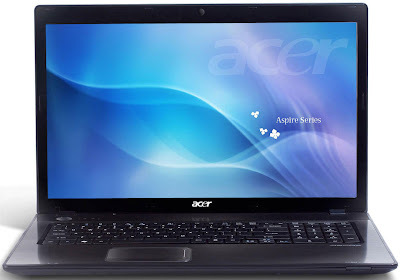 Acer Aspire 7551 Laptop is providing an excellent blend of performance, size and wireless capability, the Aspire® 7551 is an exciting notebook. Accelerated AMD™ multi-core processing and high-performance graphics provide powerful multitasking and immersive entertainment on the 17.3" screen. Your favorite fun comes to life on the Aspire® 7551. A cinematic 16:9 aspect ratio and 8ms response time present sharp, bright visuals on the Acer® CineCrystal LED-backlit display. An HDMI™ port lets you hook up to TVs and projectors in full HD for awesome theater-style entertainment. Stay connected via the latest communication technologies, including Acer® Video Conference featuring the Acer® Crystal Eye webcam for quality video chats. The WI-FI CERTIFIED™ network connection lets you get online from any hotspot. The Aspire® 7551 is both cool-looking and practical. The unique mesh-patterned exterior is not only visually appealing but also protects against smudges and scratches. The Acer® FineTip keyboard features an independent numeric keypad, large keys for comfortable typing plus a multi-gesture touchpad that lets you easily scroll, pinch, rotate and flip through web pages, files and images. AMD Athlon™ II Dual-Core Processor P320(1MB L2 cache, 2.10GHz). Up to 4GB (2GB installed in each of two memory slots) DDR3 1066 SDRAMUser upgradeable up to 8GB (one 4GB memory card in each slot) If upgrading after initial purchase, one or more of the memory cards provided with the system may have to be replaced with optional larger memory cards in order to achieve the maximum capacity. Windows Live™ Essentials*OEM, not full-featured, version. One-year parts and labor limited warranty* with concurrent International Traveler’s Warranty***For a free copy of the standard limited warranty end-users should see a reseller where Acer products are sold or write to Acer America Corporation, Warranty Department, P.O. Box 6137, Temple, TX 76503. TFT displays commonly exhibit a small number of discolored dots, so-called “nonconforming pixels.” This phenomenon is a limitation of TFT LCD technology, not a product defect and, as such, is not covered by the limited warranty or by the upgrade programs. Deals best sales for any Limited Time. 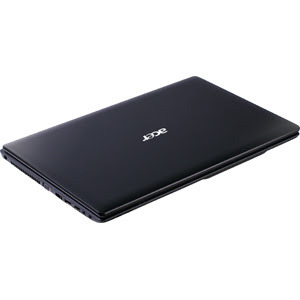 Let to purchase cheap Acer As5253-Bz602 15.6-Inch Laptop and FREE with Super Saver Shipping Available. 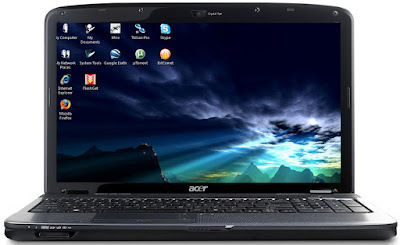 You Can buy Acer As5253-Bz602 15.6-Inch Laptop on sales from many big stores real world or on the internet like Amazon, Best Buy, Target, Walmart and so on. But which one is the better? 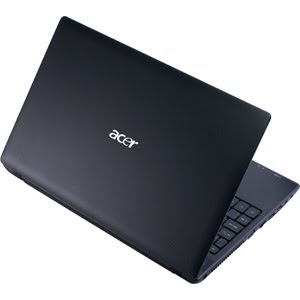 We now have done meet your needs, we discover best price Acer As5253-Bz602 15.6-Inch Laptop . 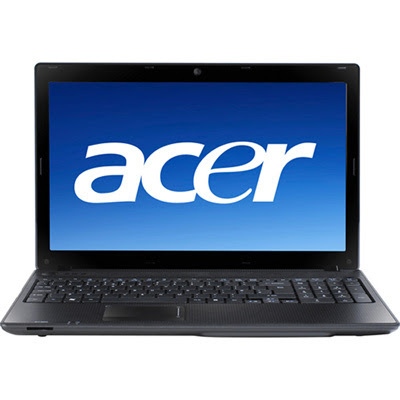 This link can compare price before you decide to buy Acer As5253-Bz602 15.6-Inch Laptop save your time and save your money right now!! 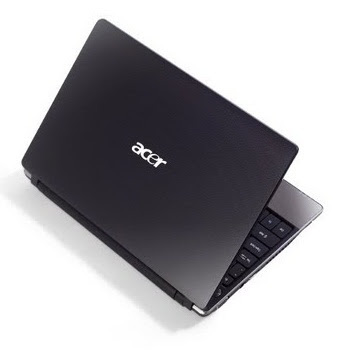 You will have best shopping Experience at Amazon.com Acer As5253-Bz602 15.6-Inch Laptop Low Price Guarantee FREE Super Saver Shipping (restrictions apply) Schedule your own delivery time and enhanced delivery. Sony launches VAIO VGN-FZ280E /B with a dazzling display. The VAIO VGNFZ280E / B notebook is a thin and light Blu-ray Disc notebook featuring 15.4-inch widescreen LCD with XBRITE-ECO technology. With a built-in camera and microphone for video messaging and Blu-ray Disc optical drive for massive storage capacity, this PC, lightning-fast super-strong packed with exciting entertainment features. The VGNFZ280EB notebook features Blu-ray Disc technology and a brushed aluminum panel that adorns its entertainment controls, making this spectacular PC the world's first thin and light Blu-ray Disc-enabled notebook. Now you can watch Blu-ray Disc movies in stunning HD clarity and record content to a single 25-50GB Blu-ray Disc media while you're on the go. The VGNFZ280EB notebook packs big power and even bigger entertainment into a small, portable package. This unique 5.75 pound PC combines all the benefits of a 15.4-inch widescreen display with the dimensions or "footprint" of a much smaller notebook. The VAIO FZ is designed to maximize LCD space with advanced space-saving engineering techniques implemented throughout the chassis, including a reconfigured battery and motherboard design. 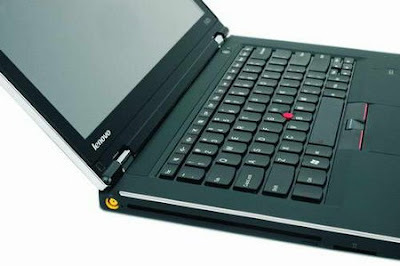 The result is a brilliant, 15.4-inch widescreen display in the body of a portable, thin and light notebook. The VGNFZ280EB features Blu-ray Disc technology and an HDMI output. With the VAIO FZ premium notebook, you can watch Blu-ray Disc movies in stunning HD clarity and record content to a single 25-50GB Blu-ray Disc media while you're on the go. Until you experience movies and concerts on Blu-ray Disc media, you won't know just how good high-definition can be. With pristine full 1080 HD resolution and stunning clarity, Blu-ray Disc is an impressive new way to enjoy your entertainment. Blu-ray Disc also enjoys the most extensive industry support as it is backed by more than 85 percent of consumer electronics companies, seven of the biggest movie studios, the world's two largest music labels, plus PLAYSTATION 3 and leading game companies. Blu-ray Disc technology lets you store content in a format that provides up to five times the capacity of standard DVDs. With an integrated Blu-ray Disc optical drive, you can create or record 25-50GB of home movies, music and digital photos to a single Blu-ray Disc media. An HDMI output delivers video and audio to external sources via a single cable, providing the optimal digital connection to your compatible HDTV so you can enjoy HD entertainment on the big screen without a myriad of extra cables and wires. Introducing the next great advancement in wireless technology, Wireless-N. With built-in Intel Next-Gen Wireless-N technology, the VAIO FZ notebook lets you wirelessly surf the web and e-mail with greater performance, range and reliability than ever before. Intel Next-Gen Wireless-N technology offers a massive boost in speed and considerably more range than existing 802.11a/b/g networks. Connect to hot spots with ease and experience the incredible difference of Wireless-N. You can even wirelessly stream video throughout your home or office with blazing-fast speed. Next-Gen Wireless-N technology is backward compatible with existing 802.11a/b/g networks, so there is no need for any additional hardware or cables, it's all built in. 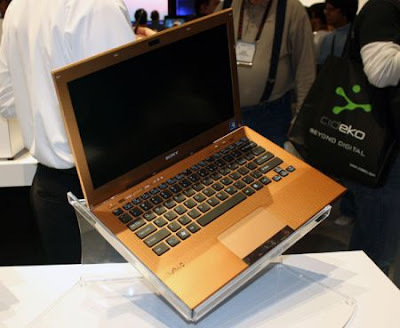 From the energy-saving featuers of XBRITE ECO technology to the innovative techniques used to integrate a 15.4-inch widescreen display into a thin and light chassis, the VAIO FZ is all about efficiency. With from 2 up to 4 hours of standard battery life, the power-saving features of Intel Centrino Duo mobile technology with Intel Next-Gen Wireless-N technology, you'll stay powered up longer and wirelessly connected with greater range and speed than ever before. The chassis of the VGNFZ280EB is encased in durable and super-lightweight magnesium allow. 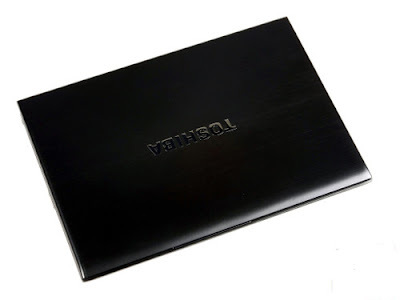 This thin-walled, rugged magnesium casing reduces the weight of the notebook while serving as a slender, durable shell. Get the ultimate mobile experience with unparalleled processing speeds, longer battery life and enhanced wireless connectivity. 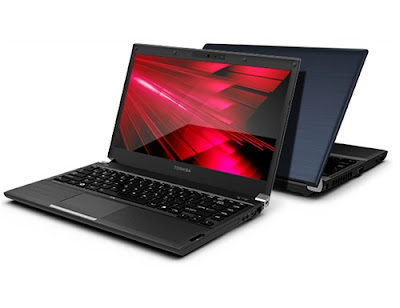 The VGNFZ280EB features Intel Centrino Duo mobile technology, Intel's latest and best notebook technology to date. Powered by an Intel Core 2 Duo processor and an 800 MHz Front Side Bus, this fourth generation state-of-the-art technology provides screaming-fast performance and the mobility, power and flexibility you need for high-speed, wireless computing on the go. With Intel Centrino Duo mobile technology, you've got the dual-core performance to enjoy a rich multimedia entertainment experience. The VGNFZ280EB comes pre-installed with Windows Vista Home Premium, a breakthrough operating system that brings your computing world into sharper focus while delivering the productivity, entertainment and security you need. See the difference with a spectacular new look, instant search, built-in Windows Media Center and automated security features. Create beautiful family albums and home videos, listen to your favorite music, and connect with friends and family. Windows Vista Home Premium makes it easier and more enjoyable to do just about anything on your PC. An A/V fan's dream PC, the VGNFZ280EB includes a full set of dedicated multimedia controls just above the keyboard. A round A/V interface jumps out of the clean design of the VAIO FZ, adding a unique and practical touch to its sophisticated appearance. These intuitive music and video controls are user-friendly, so you can easily control your CDs, DVDs, pictures and home movies with the push of a button. Sony puts professional-quality tools for creating your own DVDs at your fingertips. With Click to DVD software and the advanced DVD+/-R DL, +/-RW, -RAM drive, presenting your digital video content in a professional-looking package, including interactive menus and customized themes, is quick and easy. Create or record up to 8.5GB of home video, movies, music, or digital photos (or up to 4 hours of MPEG-2 video) on one Double Layer DVD disc. Keeping in touch has never been easier or more fun. The VAIO FZ notebook features an integrated camera and microphone for video messaging with family, friends and coworkers. Enjoy this feature with free video messaging services and stay connected to loved ones and colleagues with user-friendly chat and video mail functions. The MOTION EYE camera is discreetly located above the LCD screen to allow easy angle adjustment and natural eye movement while video chatting. The Windows Vista operating sytem provides the tools you need to conveniently manage and enjoy your music, movie and photo collections. Windows Vista makes content management a breeze and is a smart way to enjoy your digital entertainment on demand. The VGNFZ280EB brings exceptional audio performance to your desktop. With Sony's original Sound Reality technology, the VAIO FZ offers professional-quality, high-resolution surround-sound supporting Direct Stream Digital technology. With this advanced technology, your music, games and movies will come alive with deep, rich, full sound. Available on the VGNFZ280EB, an NVIDIA GeForce Go 8400M graphics card lets you power through today's graphic intensive games with advanced 3D graphic engines at HD resolution. After a day of gaming, kick back and watch HD videos on your notebook featuring the advanced NVIDIA PureVideo technology, high-definition video playback and superb picture clarity on notebook PCs. The VAIO FZ premium notebook features an HDMI output, allowing you to view your audio, video or data content on your TV through a single cable. It also offers the added benefit of capturing and editing your 1080 HD camcorder without downgrading quality in the process. In addition to PC card support, the VAIO FZ notebook supports ExpressCard, an emerging standard in smaller, faster PC card solutions with the throughput to port data at incredible speeds, making it ideal for transferring video and large files. In addition, the ExpressCard standard promises to deliver low-profile, lightweight modular expansion. Easily transfer files to and from external devices to your notebook. 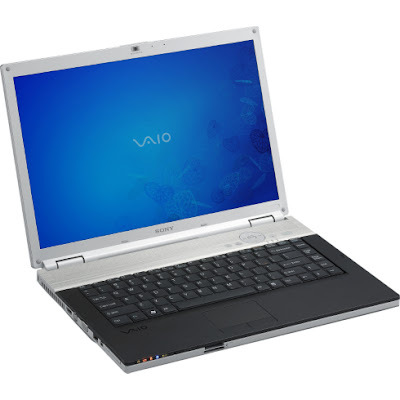 The VGNFZ280EB notebook supports all versions of Memory Stick Media, Sony's high-capacity removable flash memory. Memory Stick media is ideal for use with your compatible digital camera, camcorder, cell phone and personal audio player. An S-video output lets you connect your VAIO VGNFZ280EB to compatible TVs, video game consoles, cameras, projectors and more. HP EliteBook 8530w Laptop is the latest mobile workstation featuring the latest Intel core 2 duo processors and Nvidia Quadro FX 770M wrapped inside an impressively durable shell and comes with a 15.4-inch'' display. The HP EliteBook 8530w laptop is the upgraded version of 8510w.Here i am providing a detailed review about the HP's latest mobile workstation Elitebook 8530w. 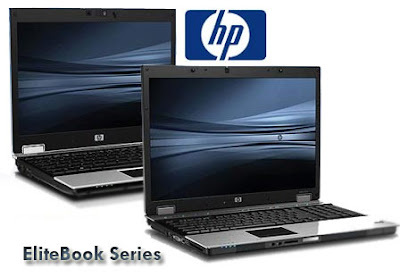 The HP EliteBook 8530w Laptop price starts at $1,499 but more powerful configurations is available at about $3,549. Dimensions: 1.1" x 14.0" x 10.4"
A similar configuration of HP Elitebook 8530w with 2GB of 800MHz DDR2 RAM and a 250GB hard drive would cost $2,549 .You can buy it from the HP website. The laptop's body is covered in the new "HP DuraCase" and "HP DuraFinish" which is essentially a hard plastic and strong magnesium alloy inner shell much like its predecessor strengthened by a brushed aluminum outer shell that is so scratch resistant you can’t even scratch it with steel wool. There is no flex in the keyboard, except for a very minor amount of flex around the enter key directly above the optical drive. The underside of the notebook is also similarly rigid and strong with the exception of the area immediately underneath the notebook’s optical drive. The 8530w comes equipped with a 15.4" anti-glare widescreen with the highest resolution possible for a screen of this size. 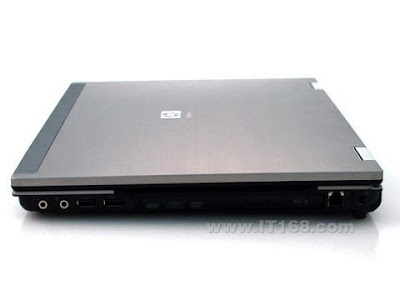 You can also enjoy this extra resolution for 1080p movies when you use the BluRay optical drive.HP EliteBook 8530w came with the Intel T9400 processor, clocking in at 2.53GHz, and jammed packed with 6MB of cache. For graphics, HP included an Nvidia Quadro 770M series video card with 512MB of GDDR3 memory. A fast 160GB 7200 RPM hard drive was also included, which helped applications load without much lag. While there are a few things we can criticize about the 8530w, it’s hard to be too critical of a pre-production unit because there is always a "possibility" that a minor issue (such as touchpad buttons or cooling fan volume) could be resolved with the final versions that ship to customers. Still, based on the review unit we have on hand we feel our relatively minor criticism is warranted. HP Pavilion DM3-1129TX "Specs and Price"
6 cell lithium ion battery The Acer Aspire 5736Z-4826 notebook having 8 x 11.4 x 1.2 inches of dimension weighs only 3.2 pounds. 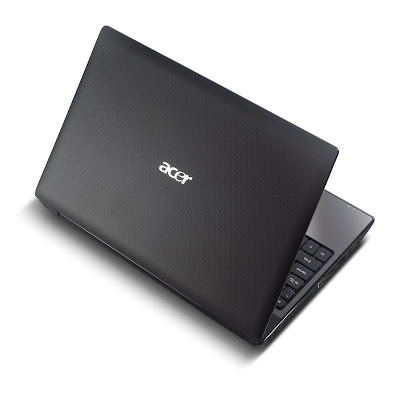 The 6 cell lithium ion battery of this Acer Aspire 5736Z-4826 notebook provides along hours of battery life. Stay tuned for further more information about latest gadgets, Apple, and internet. The Aspire 5742Z-4685 meets your daily computing needs with integrated graphics. HD media playback offers richer entertainment at home or on the road, while boundary-free wireless communication keeps you in touch with family and friends. 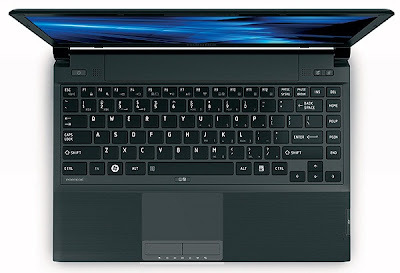 What's more, the Acer FineTip keyboard and multi-gesture touchpad provide simple usability for more relaxed computing. 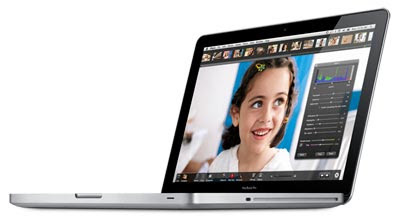 The 15.6-inch" HD wide display provides ample space for work and entertainment. The Intel Pentium processor combines with integrated Intel HD Graphics to provide the performance you need for daily multitasking. Store all your files and multimedia on the large-capacity hard disk drive, and conveniently share them with others using the 2-in-1 card reader. The latest communication technologies keep you in constant contact regardless of space or time. Feel free to engage in live chats using the Acer Crystal Eye webcam and built-in microphone. A Wi-Fi CERTIFIED network connection lets you get online from any hotspot. The cinematic 16:9 aspect ratio presents sharp, colorful visuals on the Acer CineCrystal display. A built-in Super-Multi drive is the ticket to your portable home cinema for viewing favorite videos and movies, plus an HDMI interface conveniently connects you to today's hottest high-definition entertainment on a bigger screen. 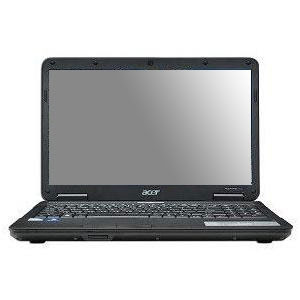 Acer Aspire 5742Z-4685 - P P6100 2 GHz - 15.6" TFT features Intel Pentium P6100 / 2 GHz Processor, 4 GB / 8 GB (max) Memory, 320 GB - 5400 rpm Hard Drive and come with Microsoft Windows 7 Home Premium 64-bit Edition OS. 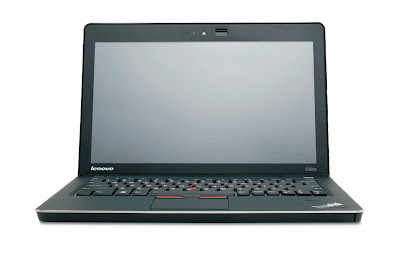 Edge series now presents the latest Lenovo ThinkPad Edge with E220s with 12.5-inch screen. With a sporty design of a classic aesthetic with a dark black color. Weighing only 3.2 pounds, and measuring 12.3 x 8.4 x 0.85 inches, including Lenovo’s thinnest and lightest laptop for business laptop category, thinner than the ThinkPad X220 has ketyebalan 1.25 inches. Laptop that can last up to 4 hours 55 minutes has a pretty good temperature, after testing by a team laptopmag with streaming video full screen for 15 minutes, found the temperature 82 degrees at toucpad, keyboard 89 degrees, and the bottom 96 degrees Fahrenheit. everything is still in its early stages reasonable. The island-style, spill-resistant keyboard on the ThinkPad Edge E220s has three important things going for it: powerful tactile feedback, curved keys that help you avoid errant strokes, and a comfortable, soft palm rest. Thanks to these ingredients, we achieved a strong score of 86 words per minute on the Ten Thumbs Typing Test, better than our typical 80 wpm score. Like all ThinkPads, the Edge E220s has a bright red TrackPoint pointing stick in between its G and H keys. 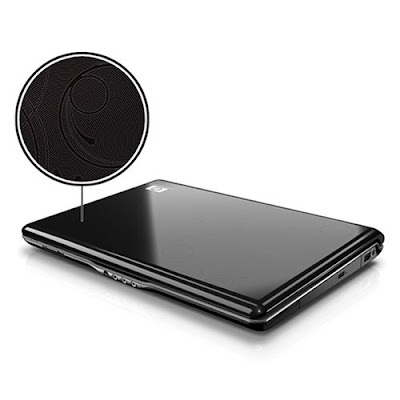 The stick provides the most accurate navigation of any built-in notebook pointing device. For those who don’t like pointing sticks, the 2.9 x 1.9-inch touchpad on the Edge E220s provides smooth, precise navigation around the desktop. Better still, multitouch gestures such as pinch-to-zoom are smooth. Rather than offering discrete buttons, the left and right buttons are built into the pad itself. To improve the audio performance of Lenovo using Dolby Home Theater technology v4, the music sounded quite loud on the built-in speakers with Dolby activate the software, but when turned off making music sound really flat. Whether We Were a 720p streaming episodes of Fringe from Fox.com or playing a 1080p QuickTime trailers of Priest, the 12.5-inch, 1366 x 768 glossy screen provided sharp, bright images, though colors seemed a bit dull. Unfortunately, the 200-nit screen and its “infinity glass” are so reflective coating That left and right viewing Angles are poor. With a light source behind us and the screen at full brightness, video washed out significantly at Angles event Less than 45 degrees. Lenovo v4 uses Dolby Home Theater technology to boost the ThinkPad Edge E220s’s audio performance, but even with the Dolby software enabled and set to the music listening profile, was Quite Tinny sound on the built-in speakers. Whether We Were listening to a jazz standard Such as Kool and the Gang’s “Summer Madness,” Motley Crue’s “Too Young to Fall in Love,” or Sade’s “Smooth Operator,” percussion sounds distorted and unpleasant were the resource persons. Disabling the Dolby software made ​​the music sound completely flat and dropped its volume to Nearly inaudible levels. With I5-2537M processor 1.4-GHz, 4GB RAM, and Intel HD graphics, the ThinkPad Edge E220s offers solid performance good enough for business applications or to play movies full HD.On PCMark Vantage, a synthetic benchmark that measures overall system speed, the ThinkPad E220s scored a strong 5,886, well above the ultraportable category average of 4,185 and the 1.3-GHz Core i5-powered Dell Vostro V130 (4,246). However, the 2.3-GHz Core i5-powered Toshiba Portege R835 (6,115) and the Core i7-powered ThinkPad X220 (7,719) fared better. The E220s’ 320GB 7,200-rpm hard drive booted into Windows 7 Professional (64-bit) in a reasonable 62 seconds, on a par with the 61-second category average. The drive took a reasonable 2 minutes and 49 seconds to complete the LAPTOP File Transfer Test, which involves transferring 4.97 GB of files. That’s a rate of 30.1 MBps, roughly equivalent to the 32.6 MBps category average. 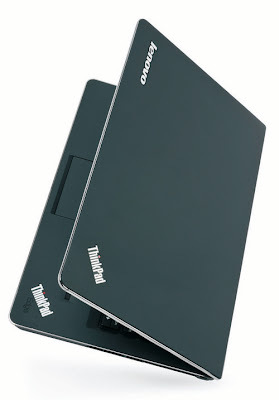 The ThinkPad Edge E220′s Intel WiFi Link 1000 802.11n radio provided modest transfer rates of 24.4 and 16.6 Mbps at distances of 15 and 50 feet from our router. That’s a bit below the category averages of 33.5 / 19.8 Mbps, but faster than the 20.6 / 8.6 Mbps offered by the Toshiba Portege R835 and about on par with the Dell Vostro V130′s 25. The ThinkPad Edge E220s is more than powerful enough to transcode video quickly. It took just 1 minute and 1 second to convert a 114MB MP4 file to AVI, using Oxelon Media Encoder; that’s 49 seconds faster than the category average and much faster than the Dell Vostro V130′s 1:26 time, but still a shade slower than the Portege R835. When we used Cyberlink Media Espresso to transcode an HD video, the Edge E220s took just 41 seconds, more than 2 minutes quicker than the 2:47 category average, but a little slower than the 28 seconds offered by the Portege R835. With its built-in, sealed battery, the ThinkPad Edge E220s lasted a mediocre 4 hours and 55 minutes on the LAPTOP battery test, an hour less than the 6:01 ultraportable category average. That time was still better than the Dell Vostro V130′s lame 2:45 of endurance, but it pales in comparison to the Toshiba Portege R835′s 6:22 and the ThinkPad X220′s epic battery life, which ranges from 7:51 with a six-cell battery to more than 20 hours with a nine-cell battery and optional slice. 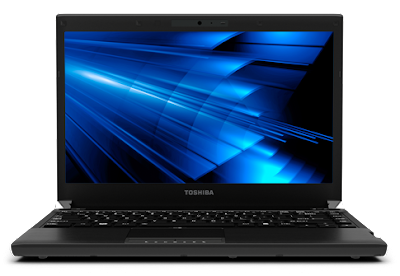 Toshiba Portege R705-P35 notebook is a 13.3-inch thin and light, with interesting Trifecta solid performance, functionality and design. R705-P35 is available for $ 749.99. It comes with a standard one-year warranty on parts and labor. The Portege R705-P35 has a solid performance with a 2.4 GHz Intel i3-370 million with 3 MB of cache base. Multiple processor cores is useful when running multiple applications simultaneously, providing performance P35-R705, which compares favorably with other laptops in its class thin and light. Common daily tasks such as instant messaging, web browsing, photo editing, and most are easily treated. There are also 4 GB DDR3 SDRAM for multitasking power further. A good amount of storage space is available on the Portégé R705-P35 via a 500GB hard drive. The graphics are supported by a Mobile Intel graphics card HD. The lack of a better graphics card to the integrated graphics card is a bit depressing, but you can still enjoy some modern games with random R705-P35. Battery life is very good on the laptop as well, with its six-cell battery offering a battery putative eight hours at full load. If you play games or watching videos, expect battery life to be much less than eight hours. However, the battery life are R705-P35 a computer to take long trips. Microsoft Windows 7 Home Premium 64-bit Edition is the operating system that comes pre-installed. In addition to the basics, R705-P35 is also rich in new features, especially when it comes to entertainment. It is equipped with a DVD drive for CD and DVD. It also has a display built-in Intel Wireless, that transmits the contents of a portable TV. To do this, you need to buy Netgear adapter Push2TV. Video chat fans will enjoy a built-in microphone and webcam. Internet connection, there are two options. You can use the integrated 802.11n Wi-Fi or WiMAX embedded 4G technologies. Last but not least, the reader, which can be used for fast transfer of data and other digital devices. The design of the Portégé R705-P35 is attractive and very portable. The notebook weighs only 3.2 kg and measures 12.4 inches wide by 8.9 inch depth of only an inch thick. Despite its slim profile, the R705-P35 is very sturdy and well built. It has a brushed metal finish on the top with a blue that is modest, but pleasing to the eye. It also has a little chrome on the hinges of an added touch. 13.3 “The R705-P35 has a HD resolution of 1366 x 768. The display produces vivid colors and graphics. The speakers are decent, but you have to connect a headset to watch movies on a volume level. The keyboard is spacious and flat keys, large size. The keys are good for writing, and take into account. The lack of backlighting is the only negative aspect concerning the keyboard. The touchpad is also large and receptive. It supports multi-touch and gestures. Connectivity in the R705 is a solid all P35. The left side of the laptop has a VGA port, two USB 2.0 ports, one of whom is also an eSATA port and HDMI port. The right side contains the DVD player, catches media player, microphone and headphone jacks, another USB 2.0 port and an Ethernet port. 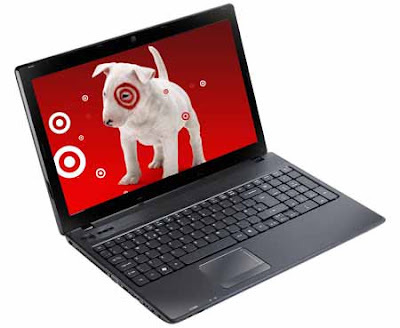 The Toshiba Portege R705-P35 is an excellent choice in the category of thin and light notebooks. It delivers impressive performance and an equally impressive account. Its sleek design is also another in a line of strong points for the laptop, making it difficult to overlook when buying a new laptop. 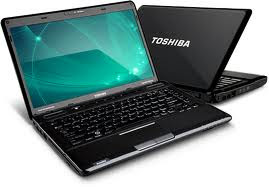 Toshiba has unboxed its new Laptop model Toshiba Portege R700-S1310. 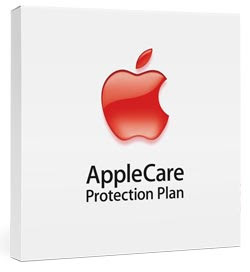 It features Protect and Fix with hard drive protection designed to help protect your laptop and its data in the case of a fall. As well as being thin and light, the chassis is incredibly tough. Only the lid feels flimsy, but is in fact designed to flex under pressure, reducing the risk of cracking. The 13.3-inch screen uses transflective LED screen technology for optimum visibility indoors and out, and the panel provides great colour and contrast. Usability is less impressive, although this could be a result of our pre-production test machine, with the isolated-style keyboard proving one of the spongiest we've used. To keep the chassis as light as possible, a 128GB Solid State Drive (SSD) has been used rather than a standard 2.5-inch hard drive. While SSDs are less prone to data loss caused by knocks and bumps and also provide very fast access to your data, the limited storage space is an unfortunate trade-off. More pleasing is the fact that Toshiba has managed to squeeze a DVD rewriter into such a small laptop, for read/write access to CDs and DVDs. Connectivity is also top-notch, courtesy of 802.11n Wi-Fi, Gigabit Ethernet. There's also a 3G module for wireless broadband access. * 12.4 in x 8.9 in x 1 in Dimensions and Weight 3.2 lbs. 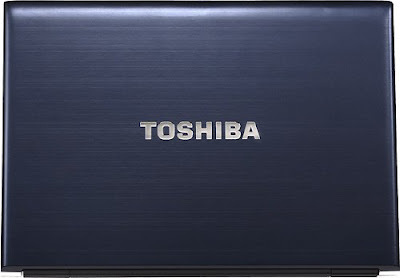 The Toshiba Portege R700-S1310 laptop is priced nearly $972.50.